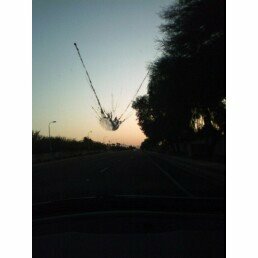 Driving to dinner and I got caught in a pigeon’s line of fire. I’m assuming it was a pigeon because of the size of the projectile. We grow pigeons big here in Arizona.